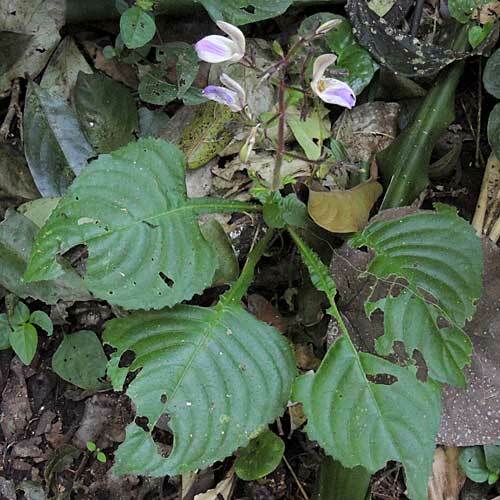 Observed along a partially shaded path through Kakamega Forest, Kenya, Africa. December 2014. 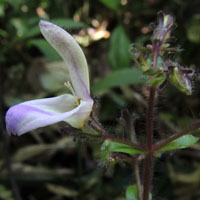 The flowers of Brillantaisia are unique - the two upper petals are fused into a hood like appendage. The tube is short and the throat widely spread open at anthesis.